In a u-turn, the state on May 18 revoked its decision to hike stamp duty on gift deeds, which was passed by the cabinet two days ago. On May 16, cabinet amended the Maharashtra stamp duty act and hiked stamp duty on gift deeds from Rs 500 to 3% of the land value. The news led to pushback from within the establishment. Shiv Sena slammed the government and threatened a protest if the duty that’s been hiked on conveyance deeds as well was not rolled back. On May 17, revenue minister Chandrakant Patil issued a statement saying no decision was taken to hike duty on gift deeds and that it was “miscommunication” which led to the reports. The state government’s move to hike stamp duty on gift and conveyance deeds was opposed by a Shiv Sena minister during the cabinet meeting when the decision was being finalized. A gift deed is required when a property is transferred to a blood relative or a spouse without a payment. A conveyance deed is needed to transfer ownership of any property. Transport minister Diwakar Raote of the Sena showed his displeasure over the hike while the issue was being discussed. “Government has not touched stamp duty for conveyance deeds in Mumbai city but has raised it in rural areas by 1%. Poor people in rural areas should not be burdened by such hikes, so we demanded a rollback,” Raote said. The next day, Sena minister Ramdas Kadam held a press conference and threatened to launch a stir if the decision was not reversed. Faced with loud criticism from a key member of the coalition, the Fadnavis government was forced to partially backtrack. Patil said the government had decided to revert to its 2015 position on stamp duty for gift deeds. “There is no change in that decision. We are making losses of Rs 500 crore because of the decision but we are yet not increasing duty,” he said. However, government has stood its ground and retained the new duty structure for conveyance deeds. The abortive bid to hike duties appears to have stemmed from the current state of finances. With revenues not growing at a fast clip and the debt burden showing no signs of shrinking, the state was hoping to garner an additional Rs 300 crore from the decision. But since it has retained the new duty structure for conveyance in rural and peri-urban areas, it can still hope to earn a portion of this amount. Stamp duty on conveyance deeds in rural area was raised to 4% from 3% of the land rate, and in peri-urban areas governed by municipal councils to 5% from 4%. Officials hinted that the overall decision was taken amidst lack of clarity within the government on this issue. “The 2015 decision to slash stamp duty was only on residential and farm land which would be transferred to blood relatives. It didn’t cover other type of properties. For any other property type the stamp duty was 2%. 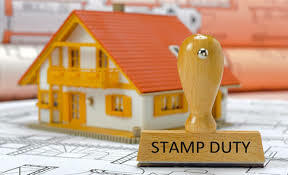 The government is now trying to show that the increase in stamp duty will be only on the properties which were already paying 2% and that the hike has been only by 1 %,” said an official. Minutes of the cabinet meeting will be finalized next week and that’s when the government is expected to make its stand clear.